The staffs were friendly and assertive, and sometimes it is needed. The room was very clean, and they even provide you with extra heater! Location-wise: very strategic as it sits in front of the bus stop, but you have to remind the driver that you're stopping there. The free ski bus pass was also very useful! 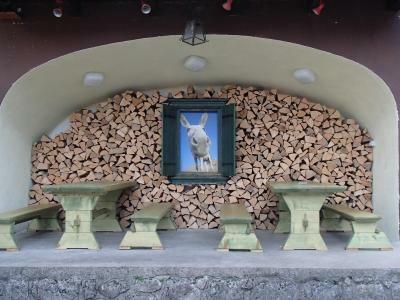 This accommodation exceeded all expectations - the staff were a dream and very helpful. Plus, they even upgraded me! Score! Super close (across the street) to the lake and had rentals for bikes, kayaks, canoes, and SUP. 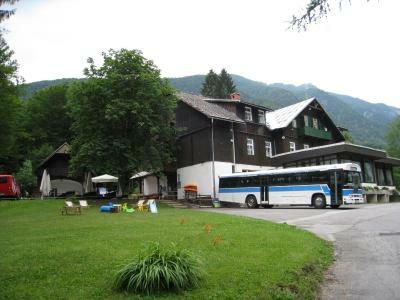 Staff was amazing and helped us get to bovec after our stay there (3 buses and a train, so not exactly easy). Also a very nice and cuddly hostel cat that greeted us in the morning. 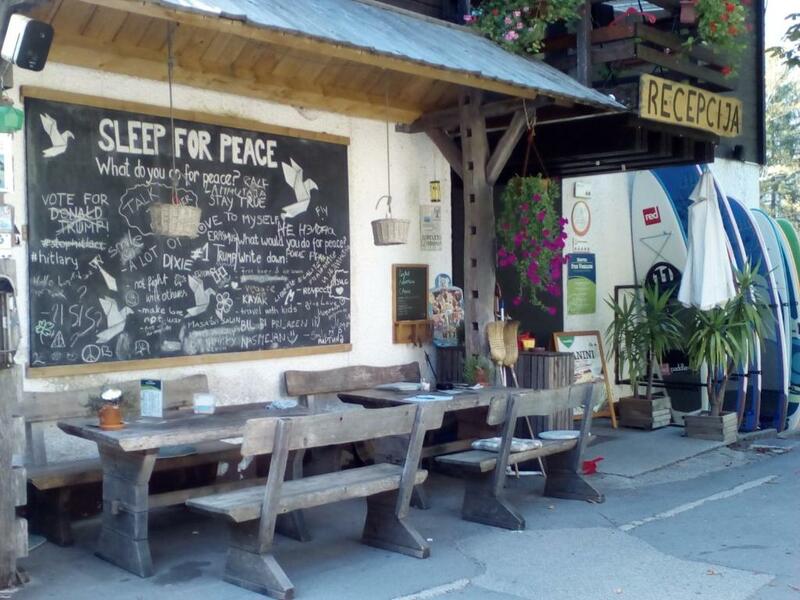 Very cosy place, good rooms, right on the lake, very authentic, nice breakfast, good staff, really liked it! Great location overlooking the lake. 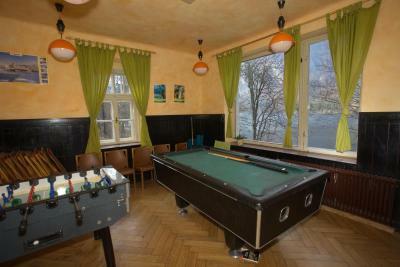 The hostel itself hosts adventure activities,,, really helpful staff. Plentiful breakfast is included. We ordered dinner one night, and it was delicious! It is a nice location just across the road from the lake. 15 minutes walking to the closest village. Staff was very helpful: I booked a dorm beds but asked for private room, and receptionist put an effort to find us the private room. Nice place to watch sunrise! 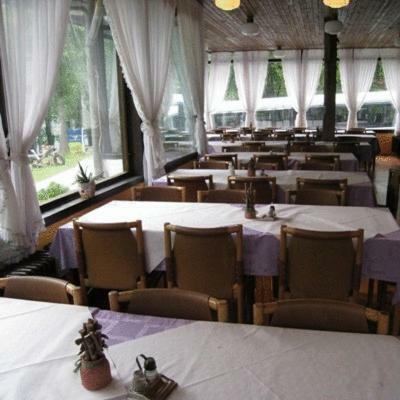 Excellent location on the lake, just a 20 minute walk to Ribcev Laz for groceries or something to eat. All of the watersports are available on site - so much to do there! I truly enjoyed my stay and plan on returning! 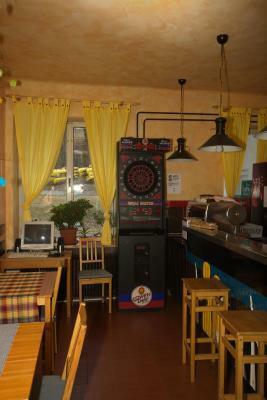 This is a fun hostel on a lake with plenty of family activities. It reminded me of summer camp, basic facilities but lots of fun. 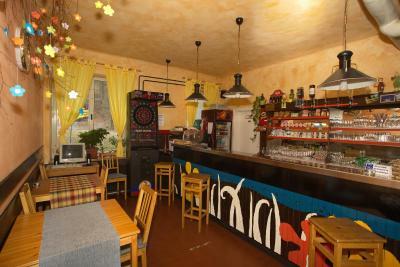 The hostel is very well located and in a peaceful place. They supplied bed sheets and towels. 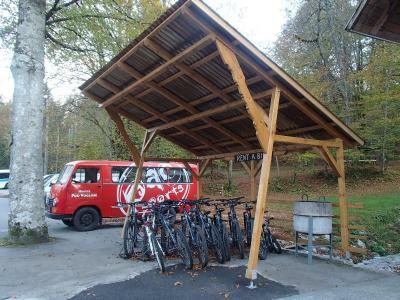 Hostel pod Voglom This rating is a reflection of how the property compares to the industry standard when it comes to price, facilities and services available. It's based on a self-evaluation by the property. Use this rating to help choose your stay! 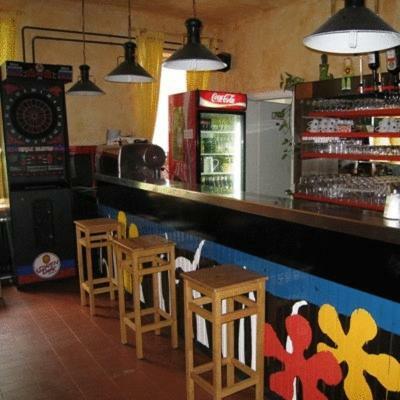 This hostel offers affordable accommodations with shared and private bathroom facilities. Located outside Pac Sports Centre, it provides a discount for the center’s activities. Ribčev Laz is a mile away. 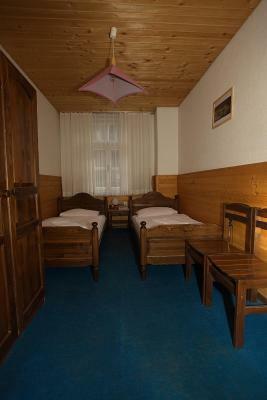 Offering rooms of various sizes, Hostel Pod Voglom provides bed linens and towels for every room. Some rooms feature private balconies. Guests can take part in sledding and snowshoeing activities during Winter. 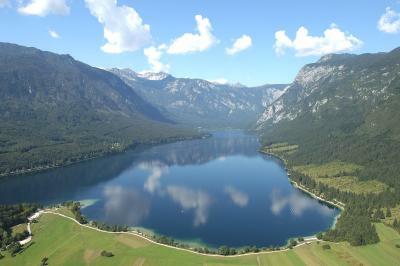 Other seasons bring in hiking, paragliding and water sports opportunities. 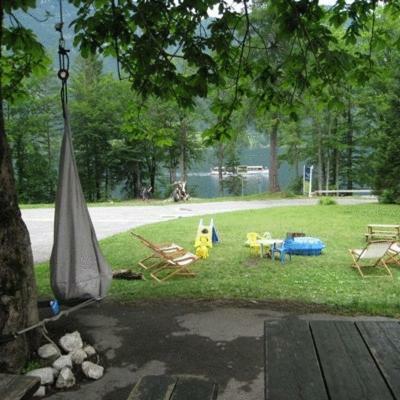 Hostel Pod Voglom is located right on Bohinj Lake. 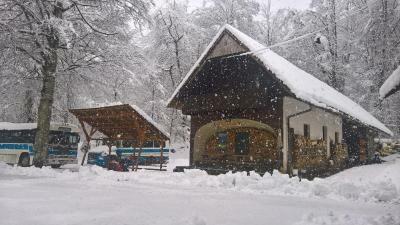 Bohinjska Bistrica train station is a 10 minute drive away. 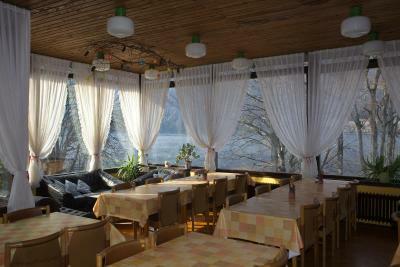 Ribcev Laz is a great choice for travelers interested in hiking, scenery and walking. 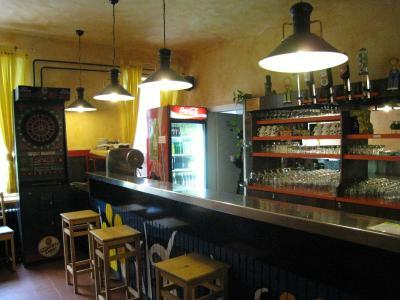 When would you like to stay at Hostel pod Voglom? Guests benefit from a private bathroom in the room. Features a balcony and a private bathroom. Guests have access to a shared bathroom. Area Info – This neighborhood is a great choice for travelers interested in hiking, scenery and walking – Check location Excellent location – show map Guests loved walking around the neighborhood! House Rules Hostel pod Voglom takes special requests – add in the next step! Hostel pod Voglom accepts these cards and reserves the right to temporarily hold an amount prior to arrival. This is really bad. !! When i entered my room the beds and room was still left untidy as the people who slept and used it, and this room and the 2nd was icy cold. While snow lies thick outside and we came there freezing!! The shared toilet on the second floor had a bowl with strange design, so you'd want to close the cover before flushing. It's a bit further away from supermarket and restaurants and the way in between is very dark, but the staff did warn us about it. Otherwise if you come by car you'll have no problem. Bar and lounge closed most evenings. Location was excellent , staff were wonderful and accommodating. 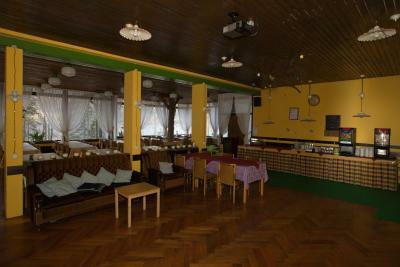 Staff was very kind, rooms clean, kids could stroll around everywhere in the hostel, food was good. 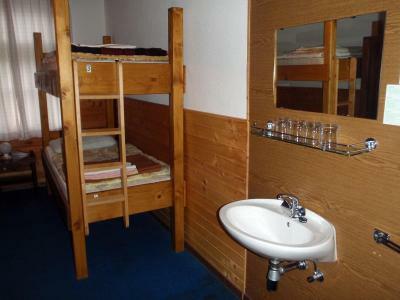 It is a hostel and a expectations were met. Prices are adequate. We will come again. The rooms could be updated, the beds were not very comfortable, but still ok. It could be also more warm in the room, I guess this is because of the poor isolation, old windows. There was only one toilet/shower per floor, but I did not have any problems with waiting on my turn. One thing I didnt like is that you could hear everything in the room from outside. There were some student group who made a lot of noise after 22 pm, once at 5 pm coming back dead drunk. A little dated facilities and one bathroom for the floor, but very clean. If you hungry and the kitchen isn't working you'll have to walk for few km. But this is the only minus. Wifi only worked in the resurant. Not the worst issue, but once the room was closed off at night I couldn't contact people anymore due to bad wifi reception. That's it though. I loved the rental program. They had so many different activities to choose from. I didn't pursue any of them, but people coming off the lake or trail looked like they had a blast. 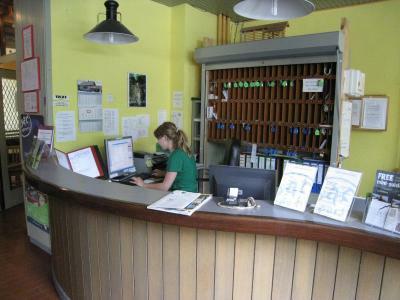 Desk service was also very knowledgeable about the local hiking areas. Extremely friendly staff. Great location and very good food during dinner. The receptionists were super helpful with planning my trip up the mountain as well as booking me a room for when I got back. This facility was horrendous. It was overrun by several massive, loud groups of 20+ children and even louder groups of adults/families. Additionally, the staff were absolutely useless and unknowledgeable about hikes in the area. Over the course of my travels I have stayed in 100+ hostels all over the world, and I can say without a doubt that this was the worst by far. If I could give 0 stars I would, but it appears that Booking.com only allows a minimum of 2.5 stars.